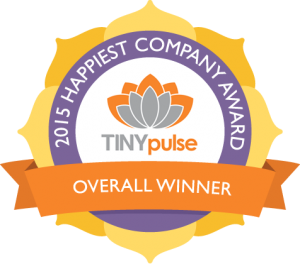 Recently Optimized Marketing was recognized as the Happiest Company in the World by TinyPulse, a company that polls hundreds of top companies about their happiness and engagement in their organizations. So how does a company that has people working independently all across the country end up being the happiest out of more than 700 organizations who participate in this polling by TinyPulse? The answer is actually quite simple: it comes down to the culture of Optimized Marketing. 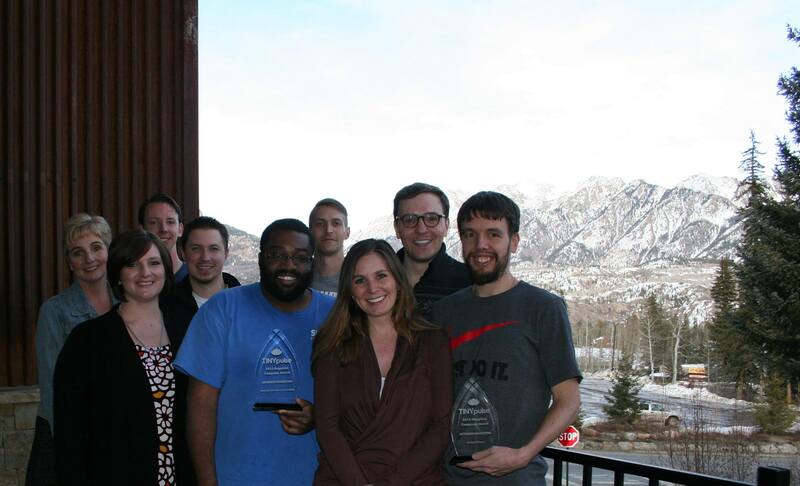 Our culture guides us in our daily actions, attitude toward serving our clients and our interactions with each other. Our most important culture point is love. This primary principle guides us first and foremost and serves as our foundation. We strive to make love a part of all of our interactions within our team, with clients, with vendors, with families, and with competitors. Following closely behind love is service and ethics. These three main principles should make it obvious as to why Optimized Marketing is the happiest company in the world; striving to love each other and serve our clients and do so ethically leads to having a group of people who find joy in what they do and the difference we make in the lives of each other and our clients. Can the answer be that simple though? Are three stated culture points really the key to what makes us all happy every day? The answer is not really that simple, anyone can strive for these culture points and put them on paper. What sets us apart is that we have figured out how to live by these points. Optimized Marketing has the unique ability to hire anyone anywhere and the hiring process is designed to hand pick not only the best minds and talent but also the types of people who find fulfillment in a culture defined as ours is. In turn, our status of being the happiest company in the world, attracts the top talent out there and we become fortunate enough to have the top talent coming to us. We get to be the pickiest company you can be when hiring, which means our customers get the best people that can be found and that they will be happy to be doing the work and for the right reasons. This in turn attracts This translates to an advantage to our customers that few companies, if any, can come close to emulating. Our scientific approach to marketing may be what sets our methodology apart from others and is what provides the unparalleled benefits to our clients but the secret sauce is really our culture and the group of people that have been assembled who are driven by what we stand for. Without the culture and the people there would be no passion and without the passion to constantly improve, in order to better the lives of those that trust us with their business, the best ideas or methods would fail spectacularly. So what does this mean to you? As a current client then you can rest easy every night knowing that we aren't resting, we are pushing to improve and innovate to earn your business and the hard earned money you trust us with. We never promise to be perfect but we promise to strive towards it every day and to provide the results and insights that you need to improve your bottom line and ultimately quality of life. This is something you can put absolute trust in because doing that is what makes us happy and we are THE Happiest Company in the World.